Our Customer Service Centre is a purpose built, one-stop-shop offering school prices to teachers, artists, parents, students and the general public. 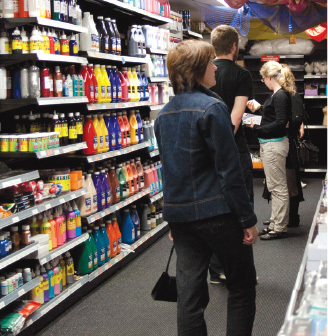 In store you will find our comprehensive range of art and craft materials, educational products, gifts and school holiday ideas. Be inspired by our creative team who are eager to assist you for either school holiday programs or your own personal requirements. Our team is highly trained offering quality assistance regarding product information and should be answer any questions you might have. 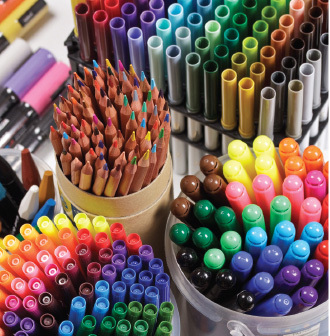 Drop in to receive great reductions on end-of-line and run-out products such as pens, paints, paper and much more, and browse through our Play Based Learning area. 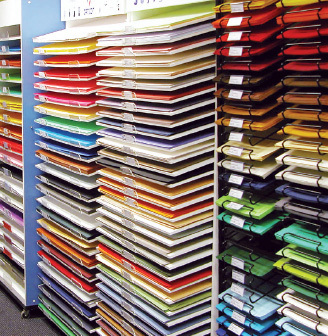 Drawing materials (Pastels, Pencils, Pens, Copics, Markers) & Stationery supplies; large range of Paints, Easels, Brushes and Canvases; Printmaking Inks, Tools and Equipment; Display Books, Folios, Visual Diaries, Mount Boards and Framing; Fine Art, Scrap Booking and Decorative Paper; Textiles, Fabric, Jewellery & Beading Supplies; Ceramics, Modelling, Mosaics and Construction Materials and Tools; Adhesives & General Art Equipment; Classroom Art Supplies, Play Based Learning Products and Educational Toys and Resources; Art and Craft Books; Holiday Projects and Gift Ideas… plus so much more! 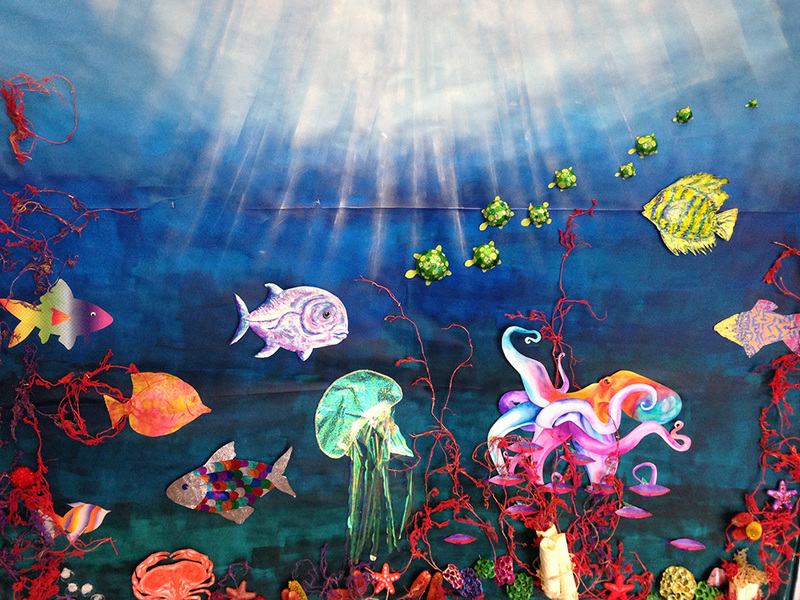 Who doesn’t love a good ‘under the sea’ mural? This display allowed our team to utilise a wide range of both new products and some old Zart favourites. The background was created using cartridge paper and Chromacryl acrylic paint to create a nice marine ombre effect. We used some glass stones to suggest bubbles and our marine life were made from patterned papers, poster colour paints, supermix oil pastels, kindy glitz, shimmer paint, polystyrene shapes, scratch sea shapes and lots more! We even spray painted some of our sensory vine to resemble sea weed! 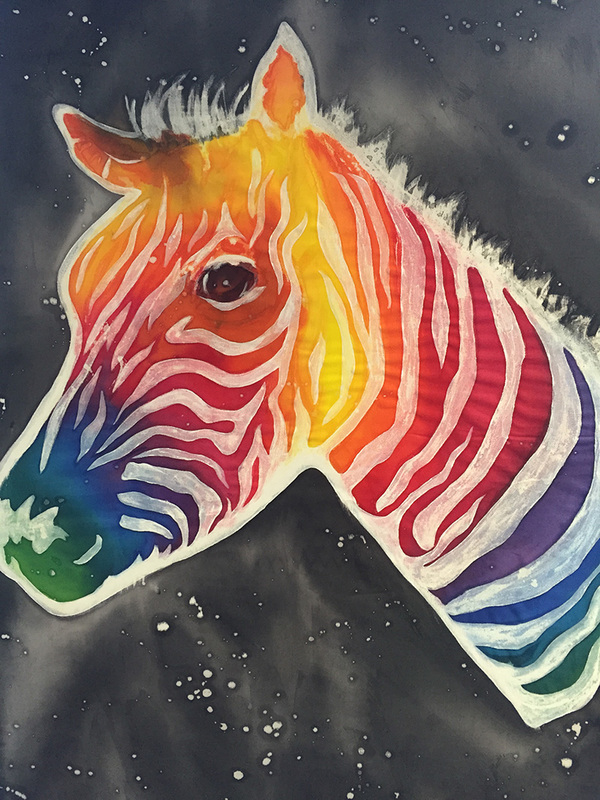 A great project for children or adults of any age. Our latest window display was designed to compliment the Back to Basics Textile workshop recently held by Zart, in which participants learned about the Batik technique. 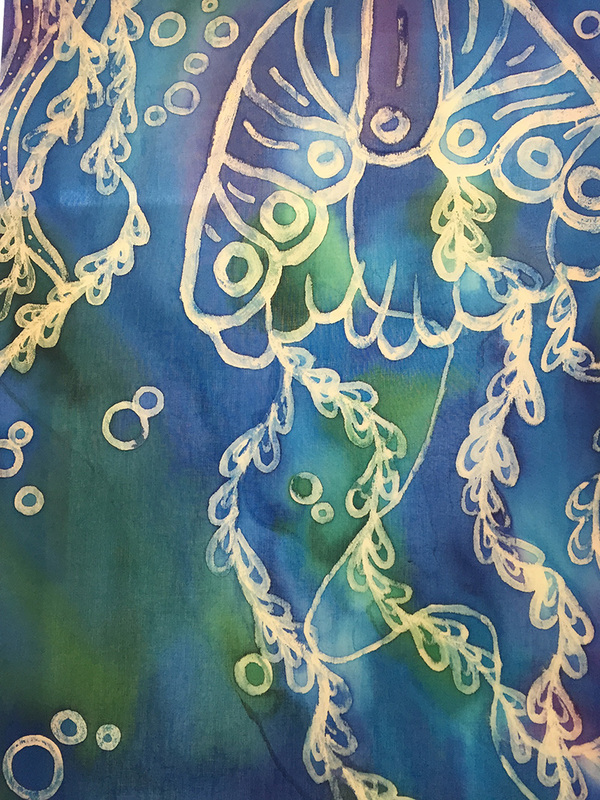 Batik can be created in a number of ways, but here we used cold wax to draw an outline which, once dry, would form a resist (the wax has been applied where the white cotton is revealed). Once dry, you are able to paint over the waxed design and it will resist the colour, maintaining the white of the fabric we chose. 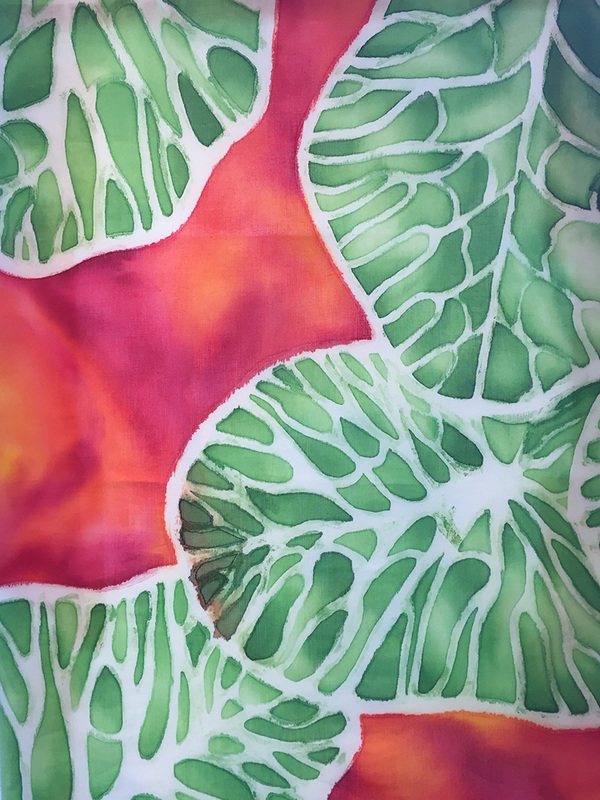 Once the area is filled in with colour (we used Sun Dyes, our most vibrant and easy to use fabric dyes), you simply heat set the design, using bulky news between the material and the iron, which draws the wax off the material and onto the paper. Your design is then wash-proof. These images don’t do the project justice, so make sure you check them out in the shop while they’re still up!